BALSA WOOD 6 sheets 18" x 6" x 1/8" (460mm x 155mm x 3mm) NEW Good Quality. The pack contains sheets of good quality balsa wood of the following approx sizes: 6 sheets 460mm x 155mm x 3mm, 18" x 6" x 1/8" . Ideal for modelling and other small projects. 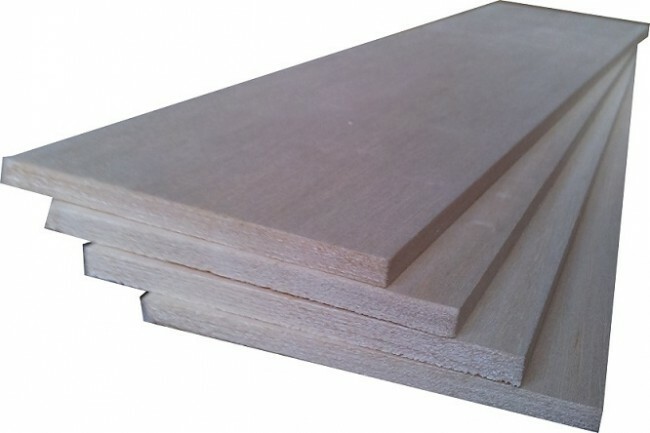 You're reviewing: BALSA WOOD 6 sheets 18" x 6" x 1/8" (460mm x 155mm x 3mm) NEW Good Quality.